Once you've completed the online registration to create your account, you'll then see the Smartling Account Dashboard. Create a name for your project that describes its purpose, and is easy to understand. 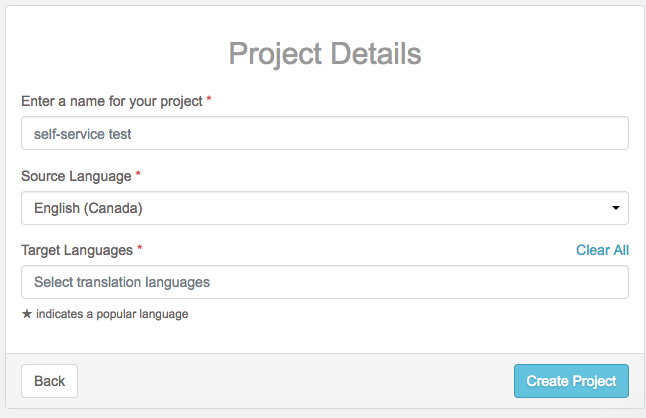 Select source and target language(s), then click Create Project. 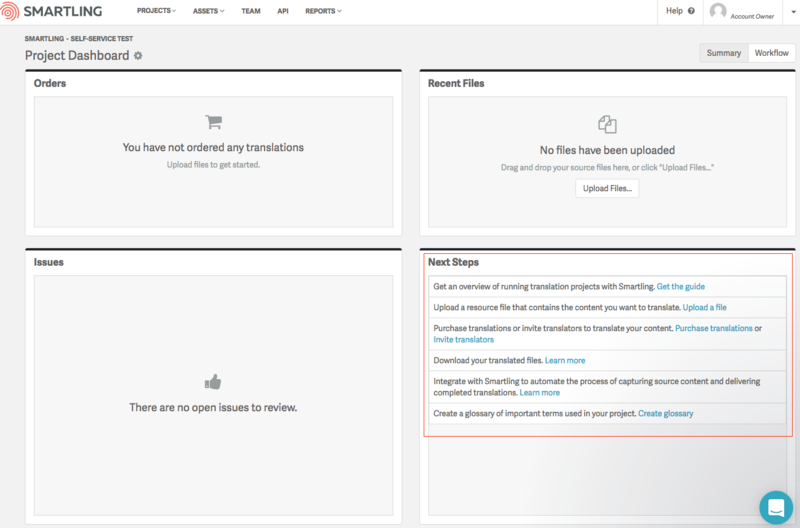 The Project Dashboard will appear. Pay attention to the Next Steps section.